We hope Michael Muhney was at least wearing a helmet during his recent near-miss on a motorcycle. Don’t worry, all you Michael Muhney fans. The ex-“The Young and the Restless” star is doing fine. But he took to Twitter to let followers in on a chopper-related oopsy he got into recently. Put Some Neosporin On That! Muhney shared two images on Twitter of the “road rash” he got after a spill on his motorcycle. For those of you who might not know, road rush is like rug burn but much more severe and painful. The soap alum took down one of the Twitter images he originally posted. This was probably because he was wearing no clothes in it! Though it was still a G-rated pic, perhaps someone thought it was an overshare. We didn’t, though! Scroll down to see the remaining Tweet and another on this topic. Muhney also shared a cute video of someone else in a biking “accident.” You’ll be clutching your sides in laughter when you see this adorable kid and how he deals with his two-wheeled drama. When your health is endangered, it can often make you think about what truly matters in life. So, we hope Muhney doesn’t get anymore bike injuries. We want to see him back on “The Young and the Restless,” and he’s expressed interest in the same thing. Soap characters and actors have enough drama in their lives, they don’t need it in vehicular zaniness added to that. 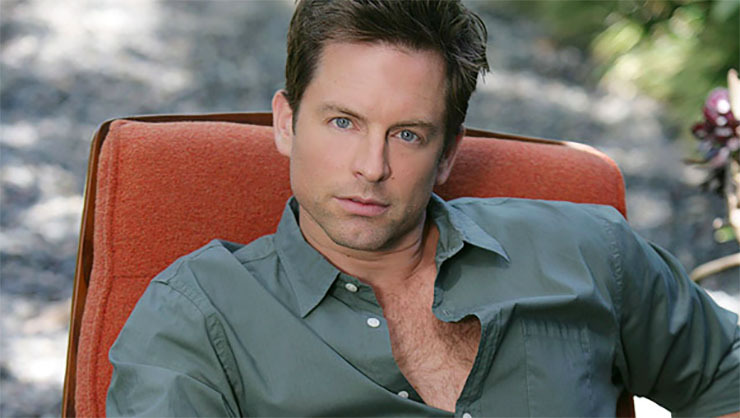 Of course, we want Muhney to be in tip top shape for his own sake too.